While some at Marvel want to insist the problem is that their critics don’t want to see people of color or other sexual orientations, the problem is that most readers do or accept those characters. The problem comes in how you write them, and how you approach critics. 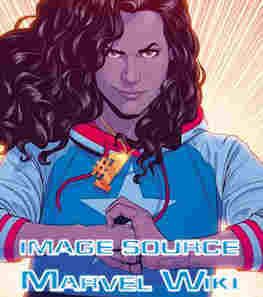 Some of the bloggers I follow bring up the example of America Chavez, a dimension-hopping hero that in her most recent incarnation seems to be defined by being a lesbian of color instead of being someone who happens to be a lesbian of color. What’s the difference? James Harrington explains how to make a minority character a character instead of a concept. Everyone deserves to see themselves represented! He uses novels for his example because he’s a novelist and so is the woman asking the question, but it’s true of any medium. Posted by ShadowWing Tronix on December 27, 2017 in Uncategorized and tagged writing tips.